Best Birthday Greeting Cards Tips! Up to date! Inspiring! Useful! Birthday Greeting Cards Can be So Easy to choose So Much Fun to Write! Writing birthday greeting cards is a great opportunity to express our love. A unique opportunity that lets us choose the words, inspire and make a DIFFERENCE in our loved ones' lives as well as in ours. A greeting card, whether digital or the classic version, is likely to be saved for some time, so that our words and greetings continue to give pleasure and inspire. •	What should i write ? •	What kind of card should I send and where to find it? Learning the Art of Greeting will make it easier and more enjoyable to write a meaningful, inspiring greeting card. The Greeting Voice is "jewel in the crown" – you'll learn how to use your greetings to make a breakthrough in your relationships! You'll also find up to date, useful information about various card and e cards types, free cards, special and artistic cards and information about the main companies in the industry. MY MISSION IS TO HELP YOU WRITE A MEANINGFUL, RELATIONSHIP BREAKTHROUGH GREETING, IN THE MOST SUITABLE FORMAT. Birthday Greeting Cards Tips and Information! The Art of Greeting : create a greeting card that makes a difference! You can create a greeting card that makes a difference and discover the joy of creating it. Inspiration is a very strong energy and life power supplier. Discover some Words 2 Inspire for your special Greeting Cards! It's important to choose a fine Happy Birthday Poem for your greeting. Discover some quality poem sites and special ideas. A daily inspiring quote can contribute to a meaningful day. Try your Inspiring quote early in the morning. Maybe just after exercising and before the first coffee ! 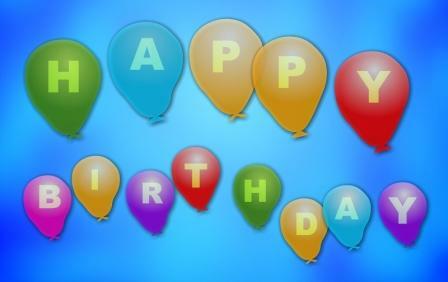 : Birthday quotes are very popular. I suggest that you create your own sayings. If you use quotes – use ones that are meaningful to you and to your life, not 'off-the-shelf' quotes. Enjoy the huge selection of 123 greetings free e cards! 123 greetings is the most popular of free e cards site. Enjoy its huge selection of free e cards! The Blue Mountain site offers thousands of e greeting cards! Blue Mountain belongs to the American Greetings group. It suggests a number of membership options and many e card selections! Sending a Birthday Horoscope is a great opportunity to surprise your loved ones. Sending a Birthday Horoscope gift is a great opportunity to surprise your loved ones. It can also be a unique way to give yourself a meaningful and insightful birthday gift. Find a special Regal Greeting ! The Regal greeting is rare these days. Do you want to find one? Discover some tips about Regal Greeting. Need birthday reminders? Check out and enjoy our tips! For me, greetings combine many areas of interest. I find they can contribute to our lives. On this site you'll find a variety of tips; you can also share your tips with other visitors. Welcome!! Discover some of the best unique gifts online and artistic gifts from the most special sites. Register NOW for the Greeting Voice. Your monthly greetings newsletter. Get up to date greeting and writing tips. special quotes and poems . Would you like to share your knowledge about birthday greeting cards? Great, find out how you can submit your story or tip here.